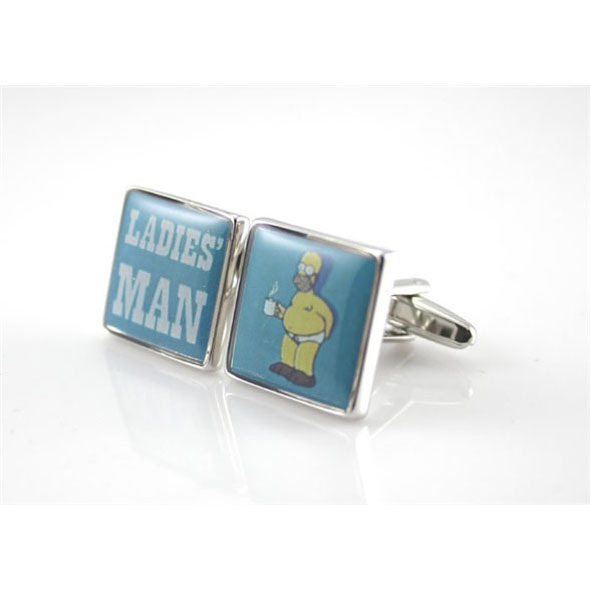 Perfect for the ladies' man in your life! 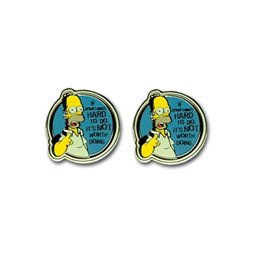 If you spend your morning commute dodging hordes of infatuated women who want to get your number and mess up your immaculate officewear, these are the cufflinks for you. 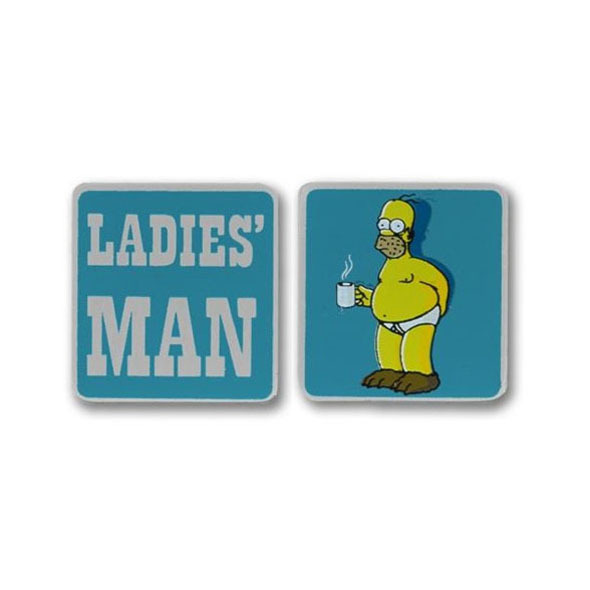 Any ladies' man will love wearing these Homer Simpson cufflinks to work every day, even if they're only a ladies' man inside their own head. 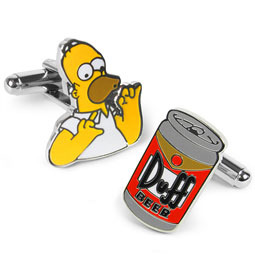 Brighten up your shirt with these smashing Homer Simpson cufflinks! They make a brilliant gift for anyone who's a bit of a hit with the girls.